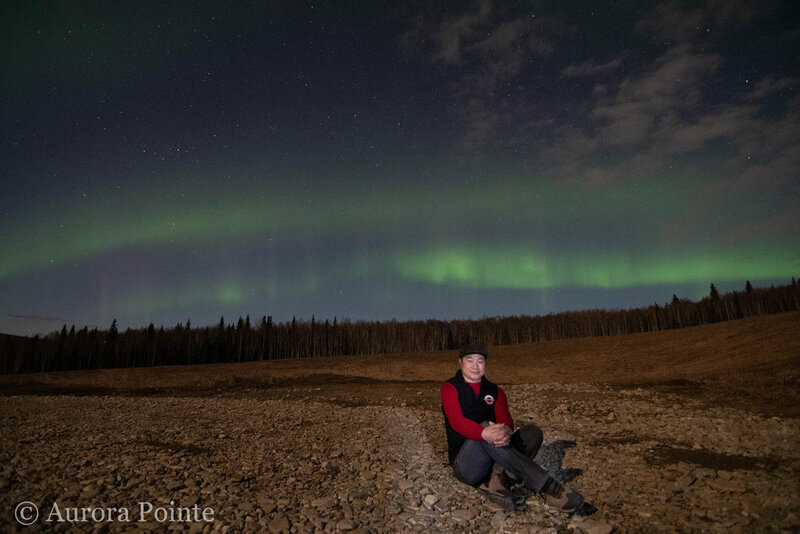 Enjoy a complimentary portrait under the Aurora, taken by your very own guide. You’ll arrive at Aurora Pointe anytime after 9pm to find a cozy fire, locally made snacks, and hot beverages. 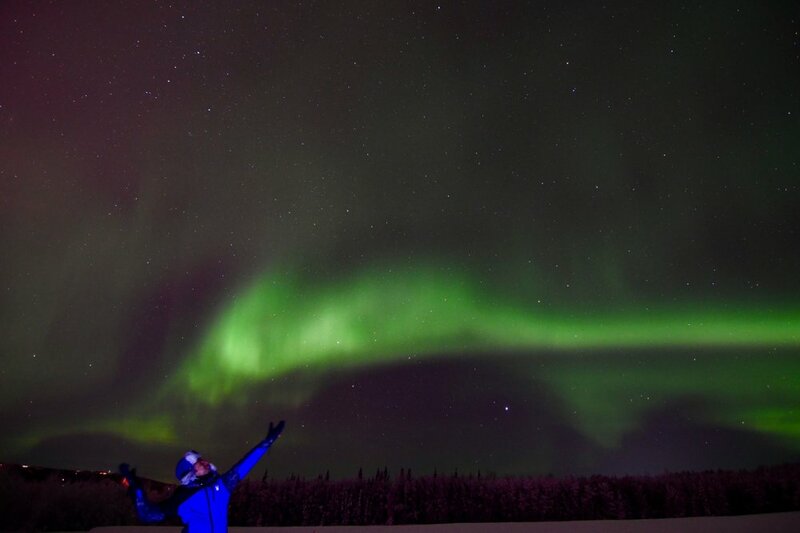 You’ll hear from guides about what the aurora borealis is and why it occurs; you’ll also get tips on how best to photograph the lights. Then you’ll feel the anticipation as you wait for Mother Nature to start the show! Chat with the guides, explore the interactive exhibits, play games, or just relax around the fire. There’s plenty to do, and lots of space to accommodate large groups or individual travelers. Step outside whenever you like and stand under the vast, dark sky, gazing up at billions of stars. 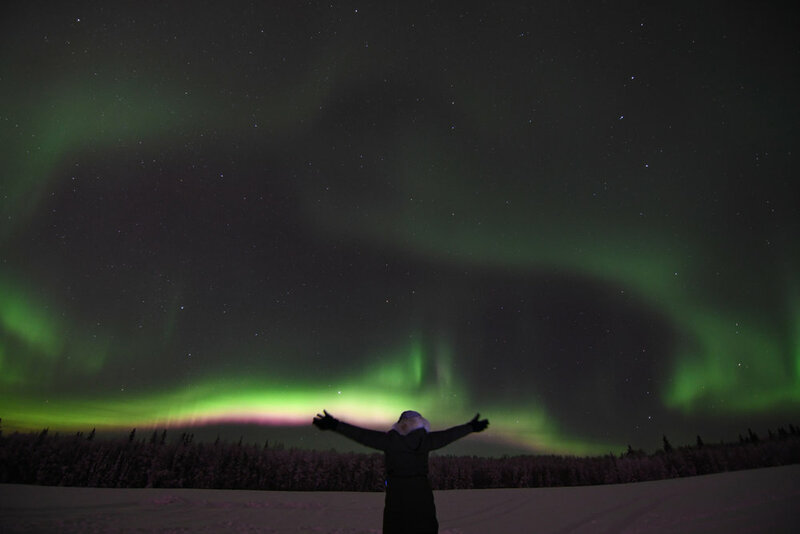 Although the center is a short distance from town, it is far enough away so that you won’t have to worry about light pollution interrupting your view as you stand gazing under the vast, starlit sky. You can also monitor the activity from indoors, via a webcam. When the lights do appear, you’ll step outside and stand in awe as you witness the unforgettable display of beautiful, eerie colors shifting and transforming against the darkness above. 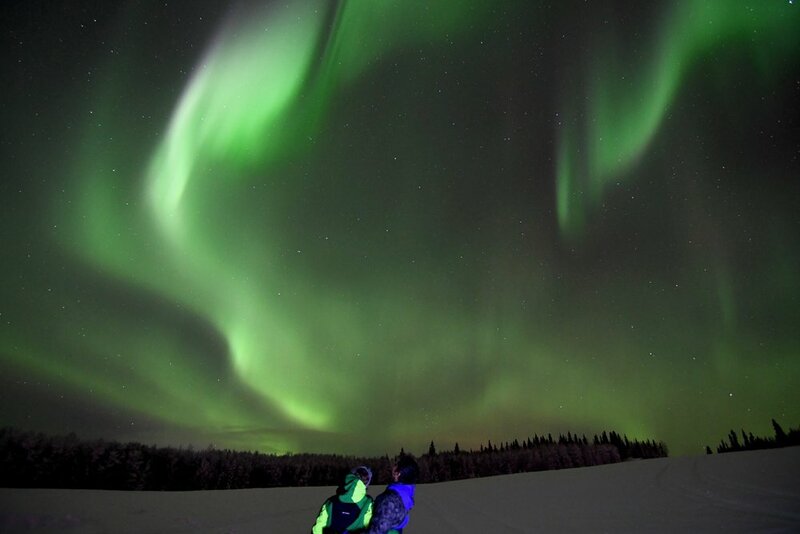 Of course, on some nights Mother Nature keeps the aurora to herself. But you’ll have several hours to hope for the best. 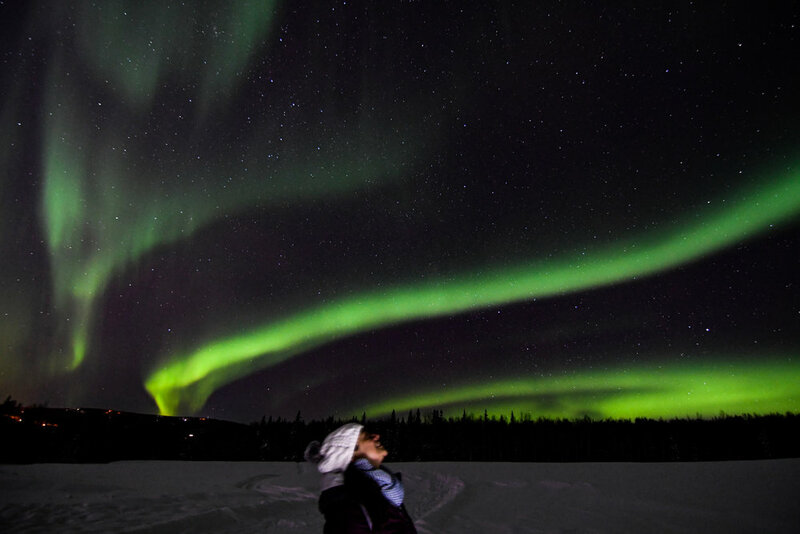 And even on nights when the lights don’t appear, checking out constellations under a vast Alaskan sky is still a magical experience. 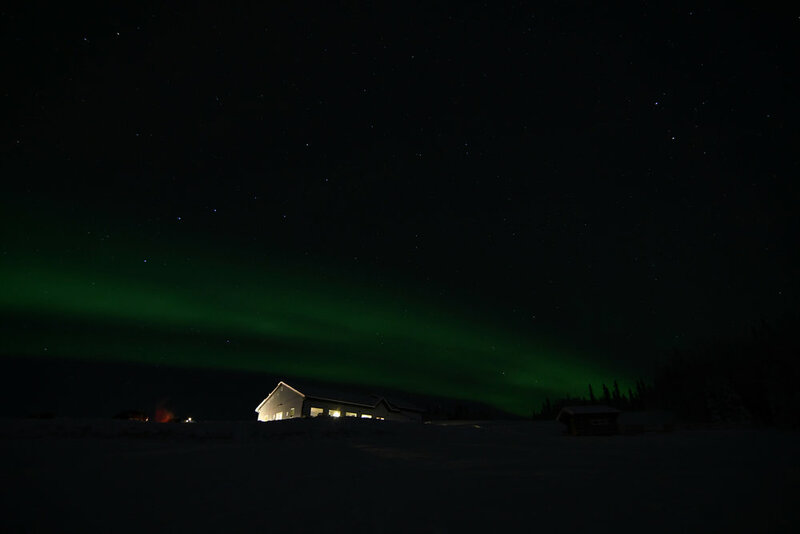 Aurora Pointe is a centralized, modern hub for a variety of Alaskan activities. 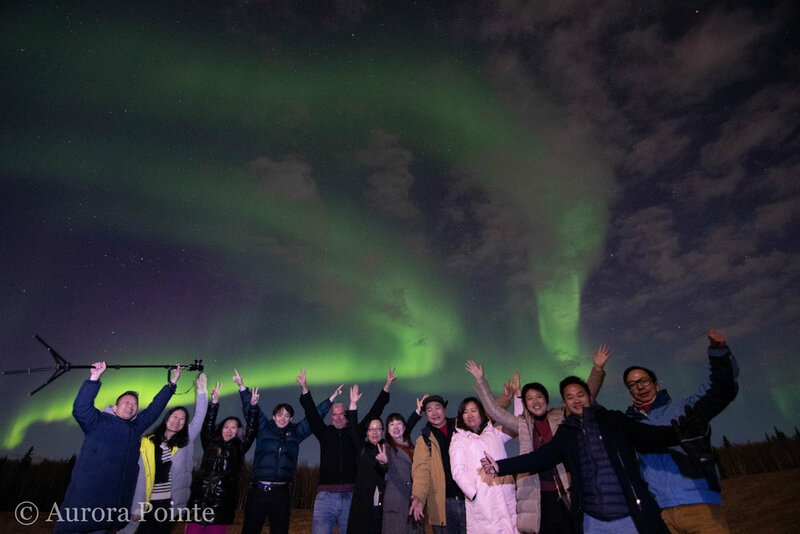 At Aurora Pointe, we specialize in Aurora Tours and hosting Special Events.